Neural networks represent a powerful data processing technique that has reached maturity and broad application. When clearly understood and appropriately used, they are a mandatory component in the toolbox of any engineer who wants make the best use of the available data, in order to build models, make predictions, mine data, recognize shapes or signals, etc. 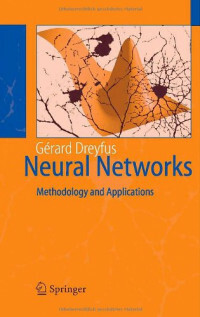 Ranging from theoretical foundations to real-life applications, this book is intended to provide engineers and researchers with clear methodologies for taking advantage of neural networks in industrial, financial or banking applications, many instances of which are presented in the book. For the benefit of readers wishing to gain deeper knowledge of the topics, the book features appendices that provide theoretical details for greater insight, and algorithmic details for efficient programming and implementation. The chapters have been written by experts and edited to present a coherent and comprehensive, yet not redundant, practically oriented introduction. Your Fast-Paced Guide to C++ Success!